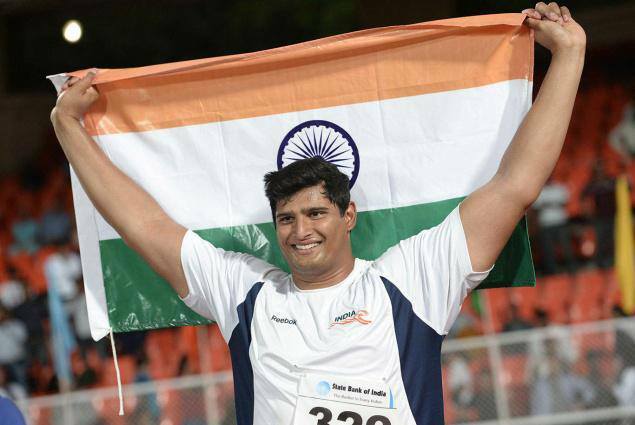 Ace discus thrower Vikas Gowda clinched the first gold for India as the home team won three medals on the second day to make their presence felt in the 20th Asian Athletics Championships on Thursday. Gowda, who turns 30 on Friday, threw the iron disc to a creditable 64.90m in his fourth attempt to win his first gold of the Asian Championships in his fifth appearances. He had won a silver each in the 2005 and 2011 editions. With this win, Gowda has booked a berth for next month’s World Championships in Moscow as each of the winner in the ongoing Asian meet automatically qualifies for the global mega event. Gowda changed shoes as his feet slipped in the second attempt in which he threw the disc into the side net before coming up with his winning throw in the fourth attempt, much to the wild celebration of the crowd which listened to the National Anthem being played for the first time in the Championships. Gowda holds the national record of 66.28secs while his season's best is 65.82m. Later Gowda, who had also won a silver in the 2010 Commonwealth Games in New Delhi, said that today's win was the best achievement of his career. "Winning a silver in front of a huge crowd in the Commonwealth Games was one of my most memorable moments. But today's gold is right on top of everything," he said at the press conference.